Evasion of French taxes is the criminal case against Suleiman Kerimov (lead image, rear left), who was jailed in Nice on November 20; indicted two days later; then released on €5 million in bail, his passport confiscated and his freedom curtailed by French police surveillance which may last for years, before the French judicial process is complete. If convicted on the charges, Kerimov faces a penalty of ten years in prison. If he pleads guilty, pays the back taxes, a money fine or asset forfeit, he may be released to return to Russia. There, the French evidence and Kerimov’s plea will prove he is liable to criminal violations of the Russian law on disclosing offshore assets, and of failing to pay Russian taxes on the money used to acquire them. A Russian prosecution of Kerimov would then become the basis for a criminal prosecution for money laundering in Switzerland against the entities through which Kerimov has operated, and the Studhalter family which has served as his agents for more than a decade. 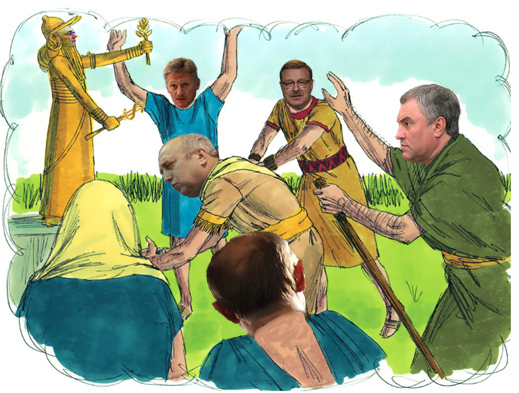 For the Kremlin, the Kerimov affair represents as great a criminal case as the trial, thirteen years ago, of the oligarch Mikhail Khodorkovsky – except that this time the courts, prosecutors, and jailors in Kerimov’s case are all impeccably French. Not a single Russian lawyer, journalist, publication, radio or television broadcast has noticed. The silence is deafening. According to Jean-Michel Prêtre (right), the French prosecutor who made the Kerimov arrest, interrogated him, and subsequently obtained court approval for the formal charges last week, Kerimov is the beneficial owner and controlling executive for a network of companies making French property transactions with each other for the purpose of undervaluing the assets, and defrauding the French state of taxes owed on the transactions. The details of the alleged fraud schemes have not been made public. For the story of the arrest and for the longer dossier of earlier civil and criminal cases involving Kerimov’s businesses, read this. In the indictment of Kerimov, one of the assets, the Villa Hier, has been identified in court and the French press; it was subject to court-ordered arrest in September. Other properties in the vicinity are also alleged to have been acquired by the Kerimov network. The names of the network members and Kerimov’s alleged accomplices have also not been fully reported by the French authorities. 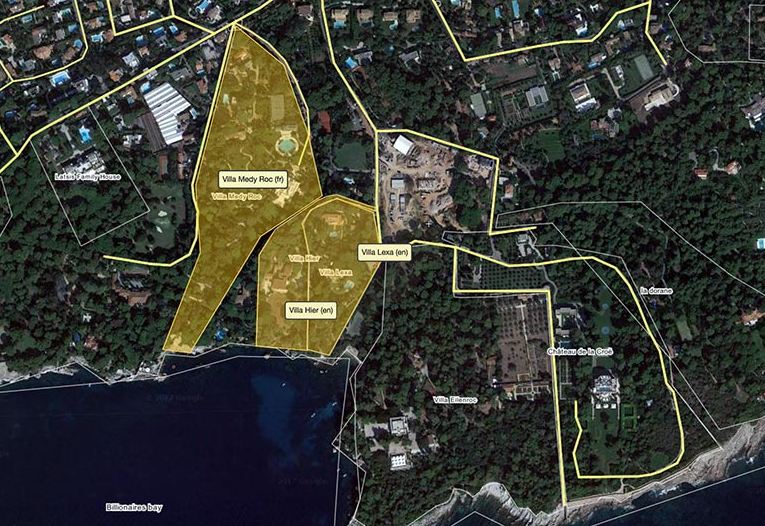 Left, Villa Hier; right, Villa Medy Roc, which as the satellite picture following shows, is adjacent to Villa Hier. For Kerimov’s story at Medy Roc, read this. The Studhalter family of Lucerne – Rudolf, Albina, Alexander and Philipp – have operated Kerimov’s businesses for more than a decade. Alexander Studhalter has professed innocence of the charges of acting as Kerimov’s accomplice in fraud schemes. He claims he and his family have a fortune of a billion Swiss francs in their own right, and can afford to be nobody’s trusty. In France Kerimov has made no public statement. In Moscow Kerimov’s spokesman at the Federation Council, Alexei Krasovskiy, refuses to answer questions except to say that Kerimov does not own foreign property. According to Kerimov’s income and asset declarations to the Federation Council, where he has been a senator for Dagestan since 2008, he owns no property outside Russia. Inside Russia, his 2016 filing claims he received an income of Rb12 million ($197,000). He also reported his assets of a three-quarter share of an apartment of 53.5 square meters; use of another residence of 37.8 square meters; and a Mercedes-Benz S-600. The French evidence, which reportedly includes telephone intercepts, suggests otherwise. If so, Kerimov is in criminal violation of Russia’s Federal Law 79-FZ, which President Vladimir Putin signed into law in May 2013. Read it in full here. The first innovation of 79-FZ was that instead of attacking financial crime in Russia at the point of instigation or completion, it went after the proceeds where they were hidden on the other side of the Russian border – in bank accounts and asset holding companies registered in offshore havens. The second innovation was that the criminal didn’t have to give up his ill-gotten gains, so long as he stayed out of the three branches of government – executive, legislative, judicial – as well the state-appointed managements of state-owned corporations and banks. The third innovation was the creation of a new crime which the weakness of Russian legal concepts of bribery and conflict of interest put out of reach. This isn’t the crime of being on the take, but rather the crime of hiding abroad how much the take is. 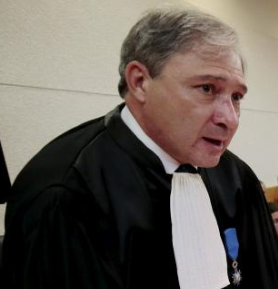 The French are now prosecuting Kerimov for a crime Russian prosecutors have not dared to pursue before. This is because the French crime of concealment to avoid paying French tax was necessary for Kerimov to keep up the pretence that he wasn’t in criminal violation of 79-FZ. He could have taken the option which other senators of the Federation Council have chosen – keep his offshore assets, but resign his parliamentary post. That was the choice of former senators Leonid Lebedev, Slava Fetisov, Valentin Zavadnikov, Vitaly Malkin, and others, as reported here. Kerimov, however, has wanted to retain the immunity from prosecution in Russia which his parliamentary status has given him since he first entered the State Duma in 1999. Until the French acted last week, the ambiguities of 79-FZ, spelled out here, also shielded Kerimov from the obligation to resign from the senate, and from Russian prosecution for false reporting. Not a single member of the Russian parliament has said so. The Speaker of the State Duma, Vyacheslav Volodin (lead image, right), instructed the International Affairs Committee to prepare a note of protest to the French government. Duma deputy Rizvan Kurbanov (right) was reported by Vedomosti as claiming that Kerimov held diplomatic immunity and that his arrest was a violation of international law. “God forbid, everyone of our colleagues may find himself in such a situation,” Kurbanov declared. Kurbanov has a long history in Kerimov’s home region of Dagestan where he was the security chief and a longtime political and business ally of Kerimov’s. Kurbanov’s legislative record reveals he was the author of a law allowing individuals like Kerimov to hold more than one passport at a time to assist when, as he said in the Duma, there are “conflict situations”. In the Federation Council Frants Klintsevich, (lead image, centre) a member of the Defense and Security Committee, announced to Vedomosti that Kerimov’s arrest was a political “provocation” by the French. Klintsevich, a paratrooper and Afghan War veteran, retired from the military with a general’s rank; went into the Duma representing a constituency including Dagestan and Chechnya; then moved to the Federation Council in 2015, where he now represents Smolensk. The Kremlin spokesman Dmitry Peskov (lead image, rear, 1st from left) called a telephone conference with reporters, to announce: “We will do everything in our power to protect his lawful interests. 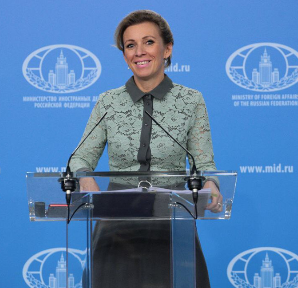 Intensive work is now being undertaken by the foreign ministry.” Peskov also claimed the “special importance is that [Kerimov] is the bearer of a diplomatic passport, so energetic work to defend the interests of Suleiman Kerimov will continue.” Mainstream Russian press reporting has clarified Peskov’s phrases by demonstrating that, although Kerimov is entitled to a diplomatic passport, he can only use it when on an official mission, and this was not the case when he landed in Nice last Monday. As for the meaning Peskov and the Kremlin attribute to Kerimov’s “lawful interests”, no distinction has yet been made by a Russian official between the applicable French law and Russian law. This Dagestan story is the only one in the country to recognize the legal implications for Russia’s oligarchs and their offshore assets. Not a single Russian law or legal news medium has reported the case yet. Radio Ekho Moskvy, which is usually critical of the Putin administration, was more than hostile to the French action against Kerimov. 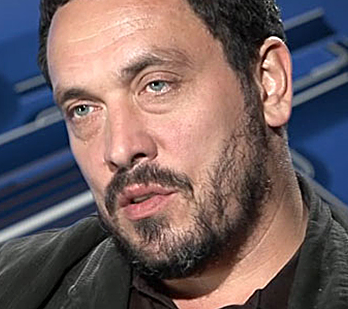 In the longest discussion of the case broadcast so far on Russian radio, journalist Maxim Shevchenko (right) insisted that Kerimov had no property abroad, and would not deliberately deceive the Federation Council and break Russian law. 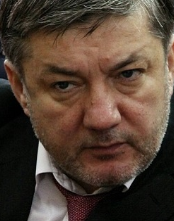 Kerimov, said Shevchenko, is now the target of a corrupt French government conspiracy instigated by business rivals, and connected to the European Union’s economic war against Russia.